Brighten up your home with this Lotus Flower Table Lamp. 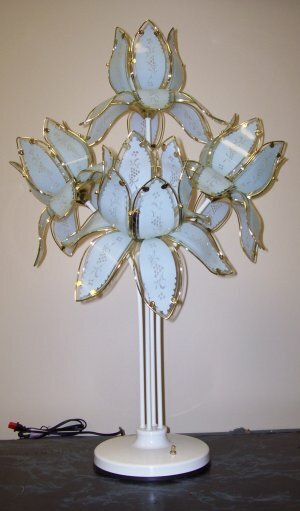 This white base lamp has 4 decorative blue flower globes pointing upwards. Lamp is accompanied by a 4 position switch - 2 globes lite, other 2 globes lite, all 4 globes lite and all globes off. This flower table lamp is the perfect lighting addition to any room in your house.